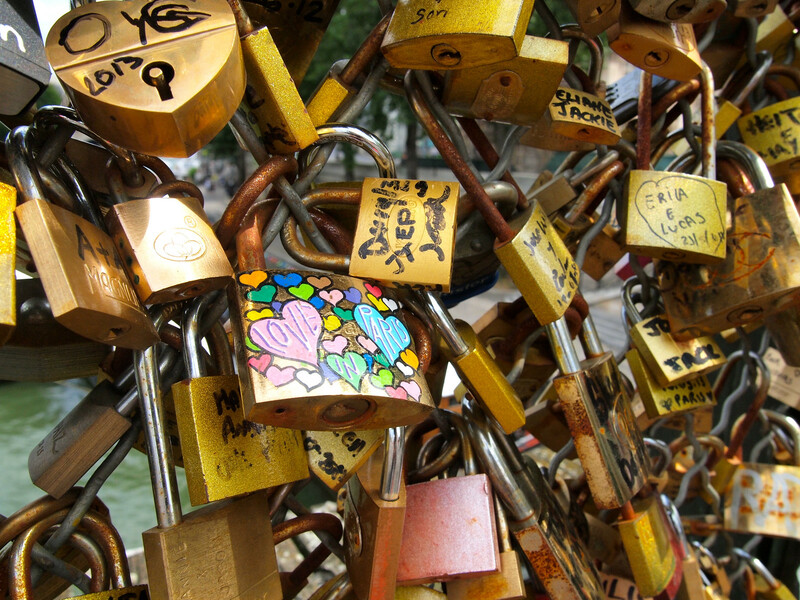 No one is entirely sure where the tradition of lovers attaching padlocks to bridges began — but since the early 2000s, tens (maybe even hundreds) of thousands of “love locks” have been locked to bridges all around the world. It's romantic, to be sure. And, even though many governments view the locks as vandalism, there's no denying that they add some visual interest to any bridge you spot them on. Perhaps the most iconic of the love lock bridges I've seen on my travels, the Pont des Arts in Paris is also one of the most controversial. The bridge crossing the Seine between the French Institute and the Louvre is actually reported to be in danger of collapse under the extra weight of all the love locks. The locks have been removed a couple times, but they always show up again. 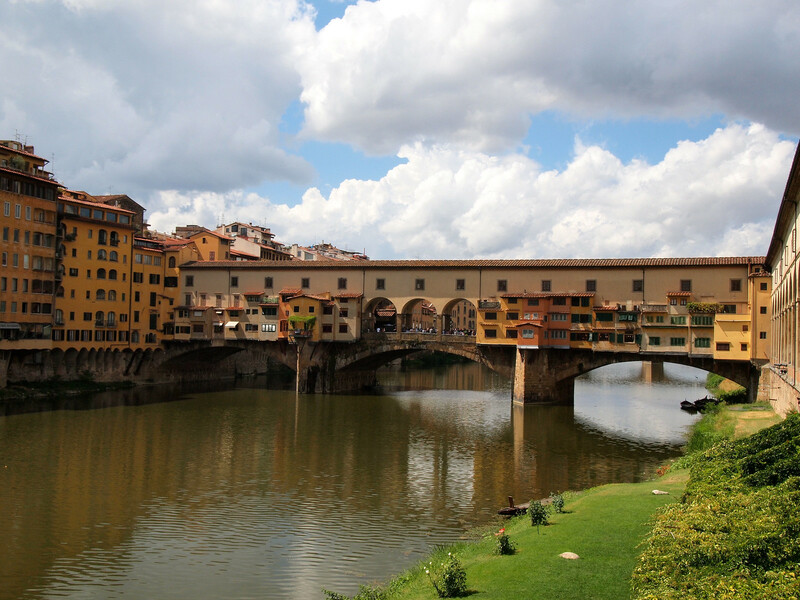 Today, you won't find many love locks on Florence's most famous bridge. Love locks used to cover the sides of the Ponte Vecchio, but the majority were removed by the city council a few years ago. You can still find a few rebellious stragglers if you look, though. 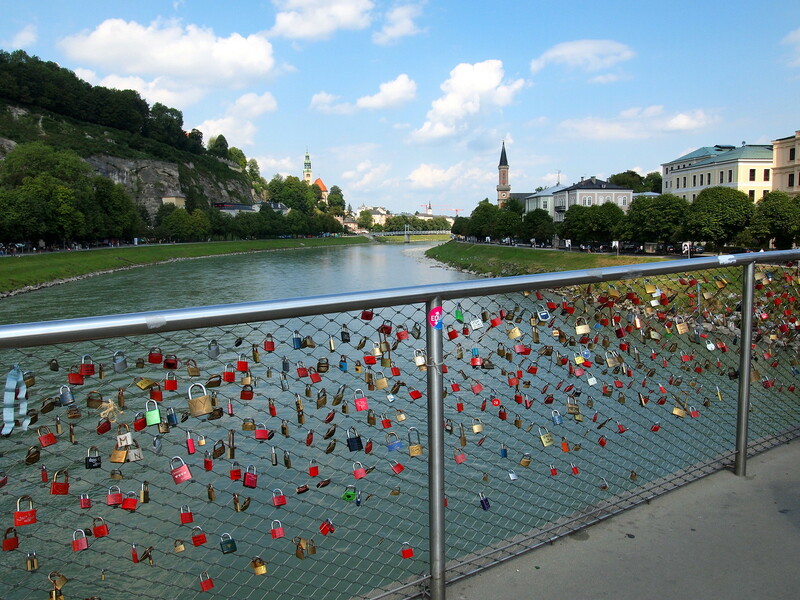 I don't really know the story behind this footbridge in Salzburg, but it was quickly being covered in love locks two summers ago. Despite its slightly morbid-sounding name, you'll find a small number of love locks on the Butchers' footbridge in Ljubljana. I love that every bridge in this city has its own character. 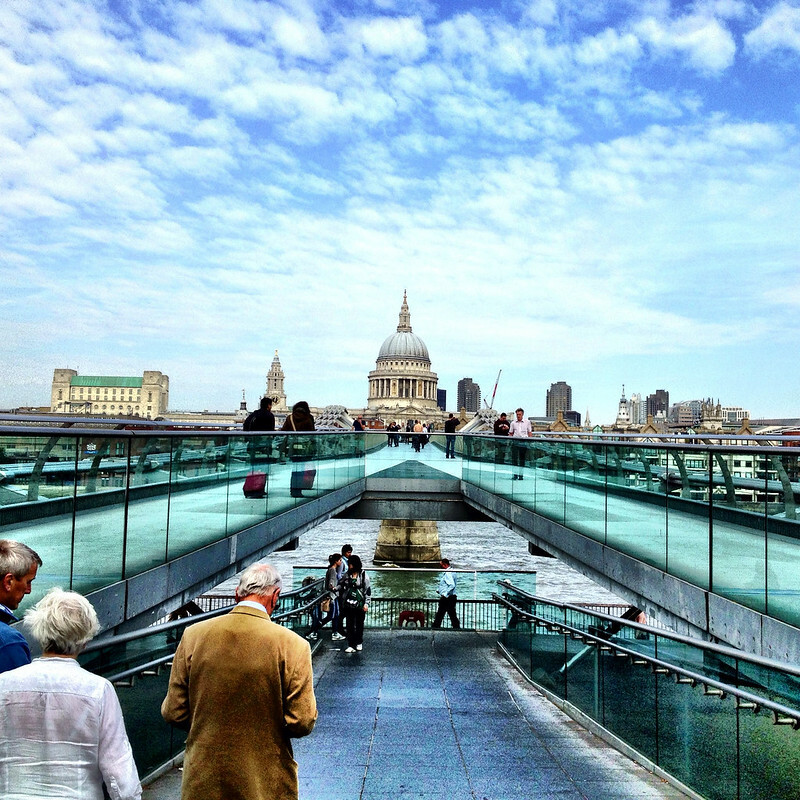 The Millennium Bridge — crossing the Thames between the South Bank and St. Paul's Cathedral — is probably my favorite bridge in London. 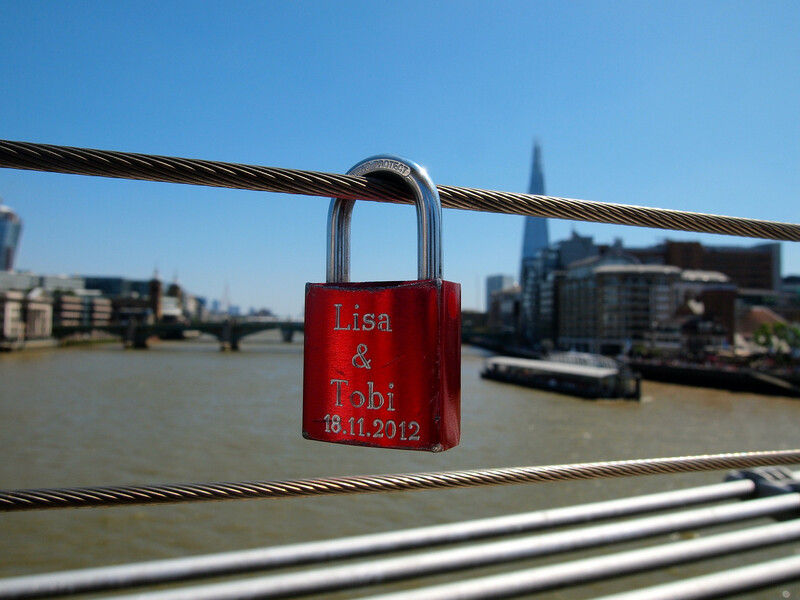 And, in the last couple of years, love locks have started to sporadically appear on the bridge's cables. This is proof that people WILL get creative when they want to put a love lock on a bridge that doesn't have chain links or cables. The Accademia bridge is one of only four bridges crossing the Grand Canal in Venice, and you'll find clumps of locks like this along the length of it. 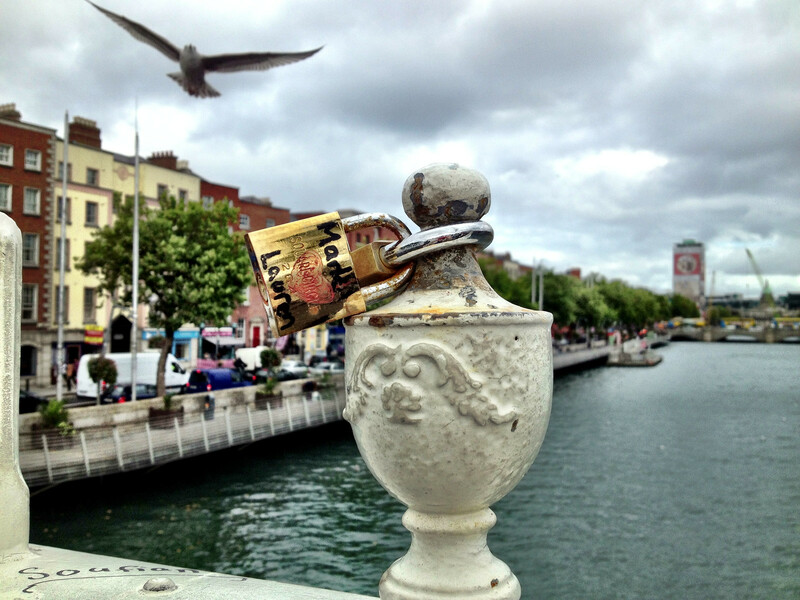 This pretty bridge spanning the River Liffey was covered in love locks until they were all removed in 2012. People keep adding them in clumps to the bridge, though, so keep your eyes peeled. 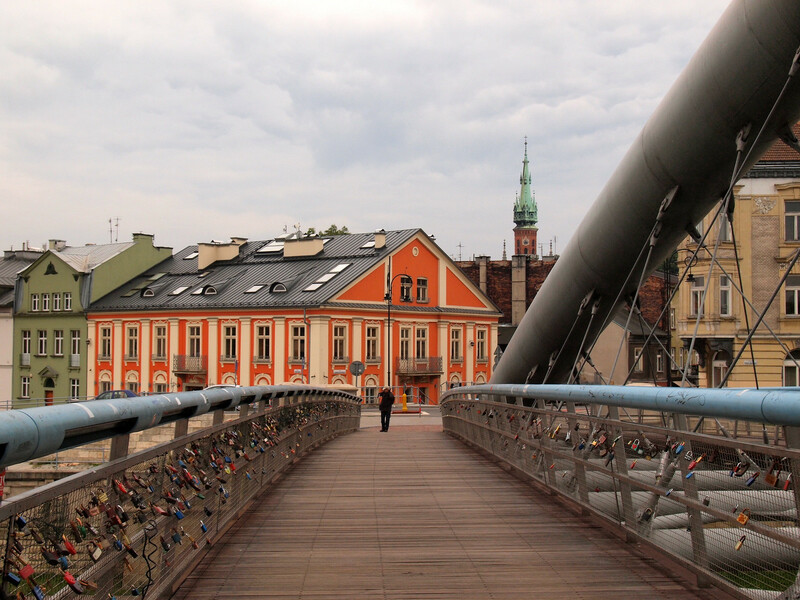 Crossing the Vistula River in Krakow's Jewish Quarter, this pedestrian footbridge is the place to go to see (or place) love locks. I stumbled upon it completely by accident, but thought it was a pretty spot. So what's your opinion on love locks? Love 'em, or think they're a nuisance? this so totally cool! I have never ever seen this,but i am going to look from now on. Is this something that goes on in america too? 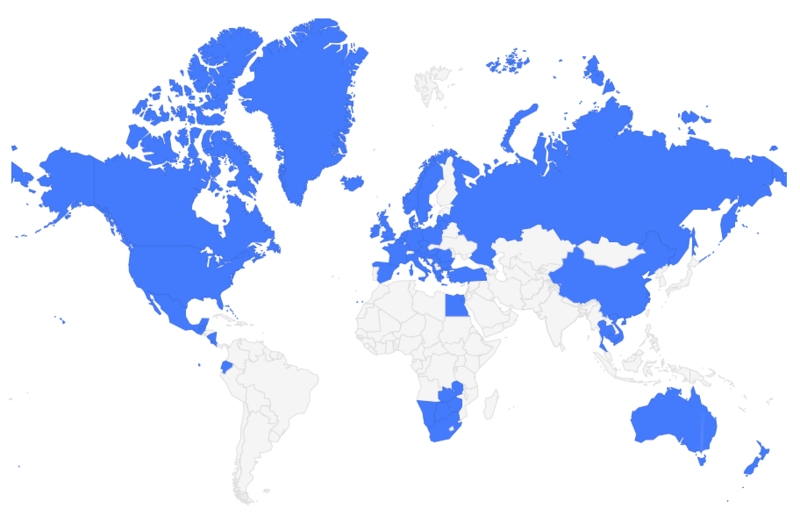 I’ve mostly seen them in Europe, but apparently you can find them in the US and Asia, too, especially in larger cities. I’m definitely not a fan of them, though I think it completely depends on where they are – i.e. on the Pont Des Arts is not cool because of the damage it’s doing to the bridge, but I do think they look cool so if they’re somewhere it doesn’t pose a danger, why not. It is slightly weird to see pictures I’ve taken in Paris before they were a thing and after, though. Apparently, they are popping up on one near the waterfront in Wellington now, I will have to go check it out. Ah I didn’t see them in Wellington! But then again, I wasn’t really looking. I agree with you – I think they look awesome, but I wouldn’t want to see historic bridges collapsing because of love locks. I’ve read about some bridges that are now building designated areas for love locks (like, in the middle of the bridge) that wouldn’t endanger the structure. I’ll be visiting Paris in April and I definitely plan to visit the bridge. I really like the idea but now that you mention that they’re scared it might collapse from the weight… I’m a bit scared! Haha. Really cool post, thanks for sharing! Don’t worry – pretty sure they wouldn’t let people on it if it was in immediate danger of collapsing! 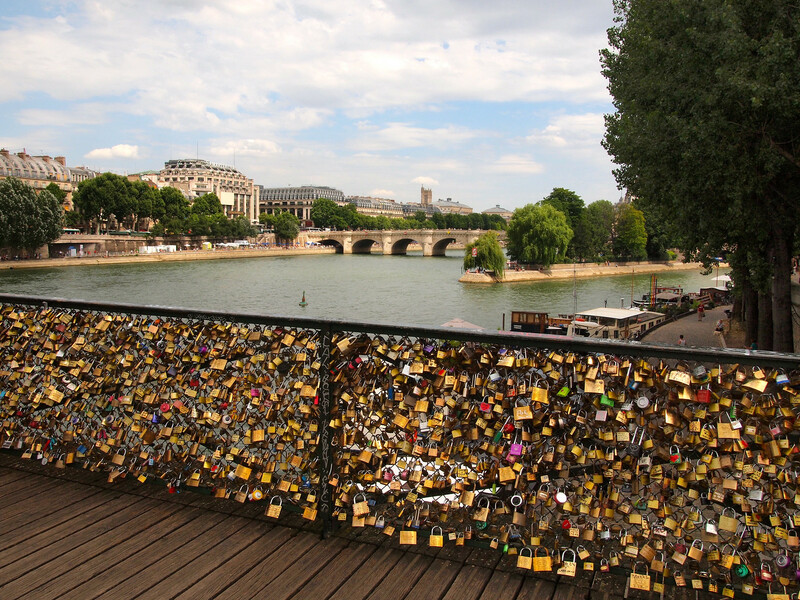 I would definitely go and see it – from the sounds of it, the love locks may not last for very much longer! Lovely! I saw them in Melbourne on the bridge over the Yarra River and totally loved them; hope to see more of these in the years to come! They seem to be all the rage now, so I’m sure you’ll see more on your travels! I was curiously looking if you will be mentioning the Ljubljana’s Bridge, as I am from here 🙂 Very nice to see, you did. My hubby and I also put the lock on it. From you photos love the bridge in Paris! Luck you! I love Ljubljana. Are all these pictures clicked by you? Fantastic photos! Love the second last one the most! Nothing can quite beat the one in Paris! It truly is spectacular! They pop up everywhere and are a beautiful sentiment. However I feel sorry for the guys who have to cut them off because too many put too much strain and pressure on the bridge! I’m pretty sure a piece of Pont des Arts might have fallen off last year! Regardless, I don’t think that would stop all of the lovers! It’s definitely a tricky subject! Because yes, they look really cool and the sentiment is beautiful. But I would hate to see the Pont des Arts collapse because of them! That would be terrible. Love this post, incredible photos too. Ah yes, I need to go to Verona one day! On the one hand, I find them interesting, and love it when I see a couple locking them up and throwing away the key. On the other hand, yes, they are starting to get a little cliche and they do so much damage to the bridges. Great photos! Definitely a double-edged sword! I agree with you, though – it’s very sweet to see couples putting them on bridges together. I seem to recall that the Pont des Arts in Paris has already (partially) collapsed once. I’ve also seen the ones in Ljubljana and Salzburg. At first I thought it was charming, but as the habit has spread, it’s not as special as it was at first. Don’t think anyone gave any thought to the cost of keeping the bridges safe, but my biggest concern is the possibly fatal effect on fish who try to eat the keys! Any ideas for disposing of the keys more mindfully? 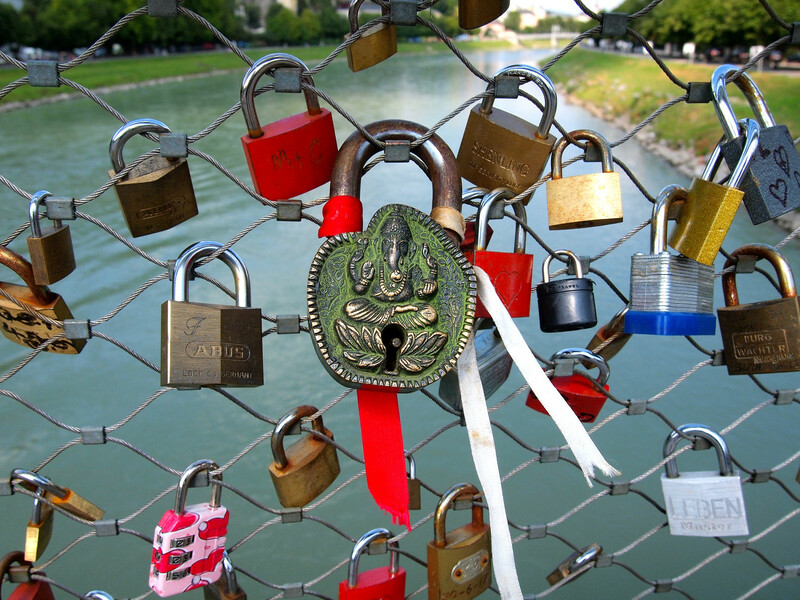 Someone commented on my Facebook page about putting locks on the bridge in Ljubljana as a family. Instead of throwing the keys in the river, they bought souvenir key rings and put the keys on those – I LOVE that idea so much more than throwing the keys in the river! 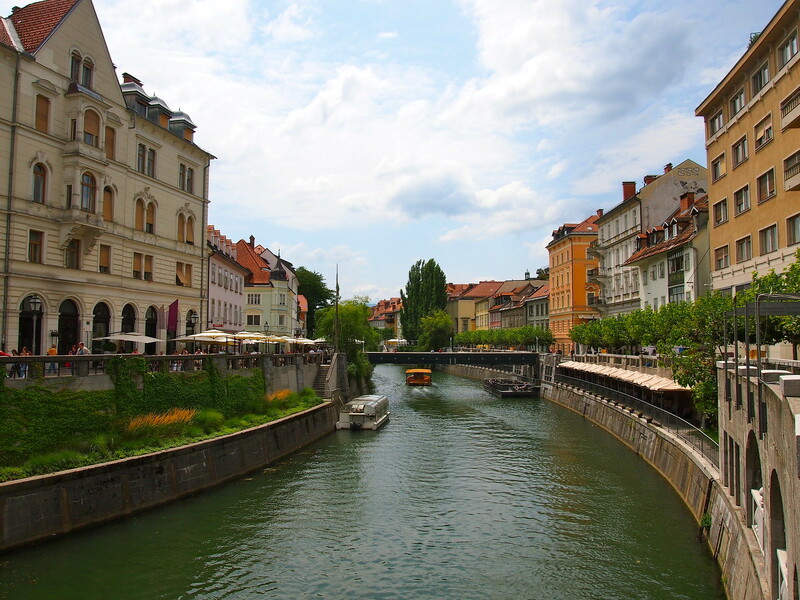 I’ve also seen the Butcher’s Bridge in Ljubljana! There was a bridge here in DC that had love locks at one point. But the city’s transportation department cut them off, saying they were harmful to the bridge. No doubt they probably were – I would love it if cities would come up with more creative ways to let this tradition work! I’m really not a fan of the love locks. I think the sentiment is nice, but there are much less destructive ways for people to express their love for each other. It would be cool if planting trees together or something like that became popular. Definitely agree that planting trees together would be much better! The Namsan Seoul Tower in Korea actually has Love Lock ‘trees’…it’s a real thing for Korean couples to visit there and put a lock on one of them! Awesome post, Amanda 😀 Beautiful pics! I think love locks are cute. I always enjoy reading the messages and hoping that they’re still together LOL! Haha, yeah, I always wonder how many of the padlocked couples are still together! 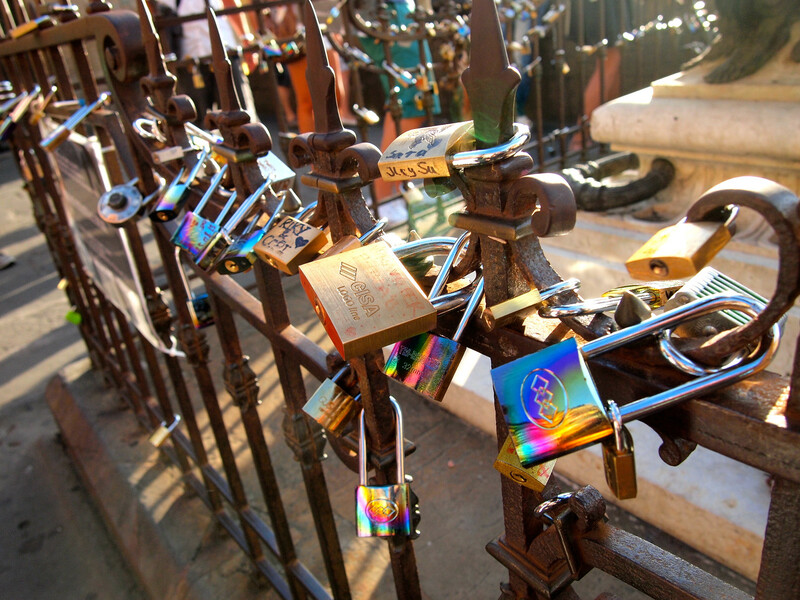 I know the love lock idea is supposed to be nice and romantic, but I think it’s a nuissance. They weigh down bridges and cause damage, which cities (and residents) have to pay for (not travelers) and then people throw the keys for the locks in the river causing pollution and more problems. 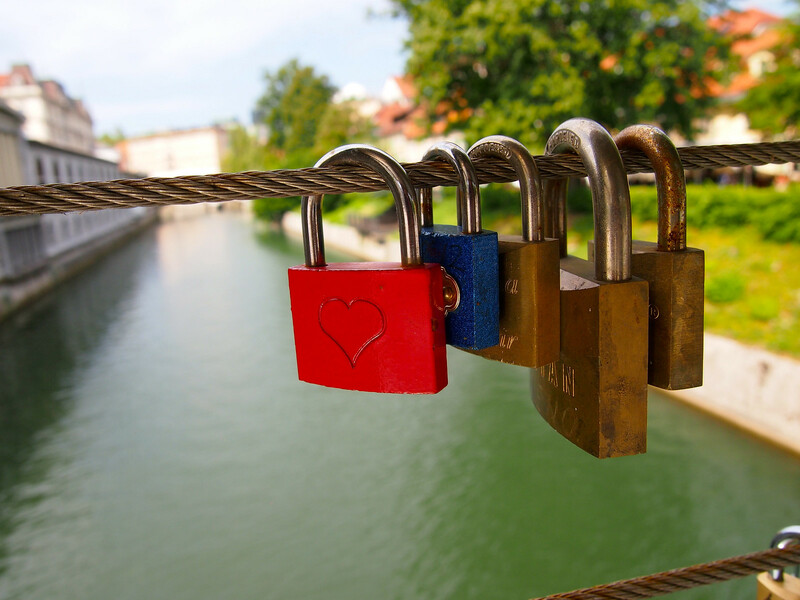 I probably sound all curmudgeony but I don’t understand why people feel they have to prove their love or show someone they love them by putting a lock on a bridge somewhere. I definitely see both sides (and, for the record, I’ve never affixed a lock to a bridge anywhere). But you’re right – it’s the locals who have to pay for the damage! Definitely would make for a good memory. We certainly are the love keys world champions in France ! The thing is that Parisians often find this kind of tradition “foreign tourists only”, but I know a lot of them who secretely go to the Pont des Arts to lock a love key with their girlfriend ! I don’t mindddd love locks, but I was in Iceland at the top of a waterfall and there were a few on the fence. If the fence fills up with love locks, it will block the beautiful view! Very good point! I like them up to a certain point – if they start to obstruct a view or ruin a bridge, then it’s time for them to go. Nice capture. Have you seen the ones in Korea? Nope, haven’t been to Korea yet! I find it telling that people use tools which represent the opposite of freedom as symbols of their relationship. It IS kind of funny, isn’t it? 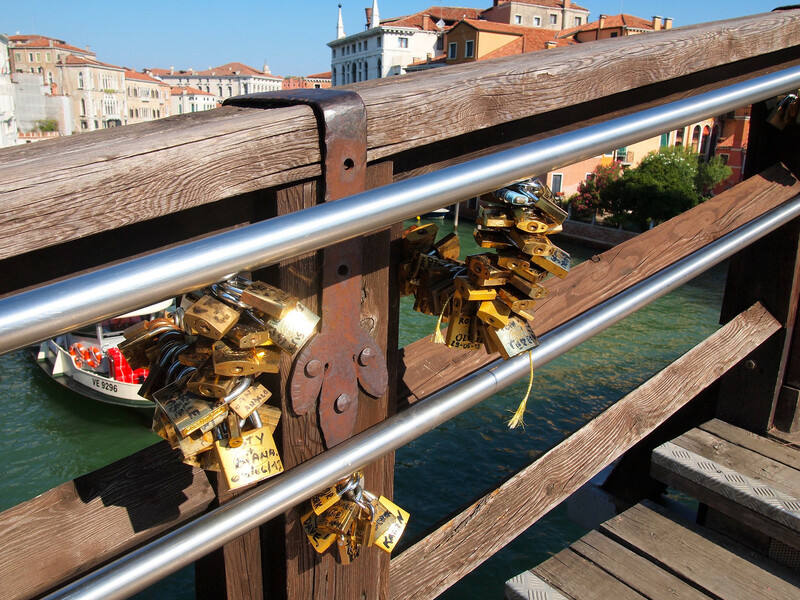 I carry bolt cutters, and love locks will be coming off Venetian bridges this September. They are vandalism, and a plague.